James E. Johnson, Sr., 77, of Mancelona, passed away on February 4, 2019 at his home surrounded by his family. Jim was born on April 13, 1941, in Muskegon, MI, the son of Clyde and Mabel (Hoffman) Johnson. Jim had retired from General Motors and moved to Mancelona in 1993. 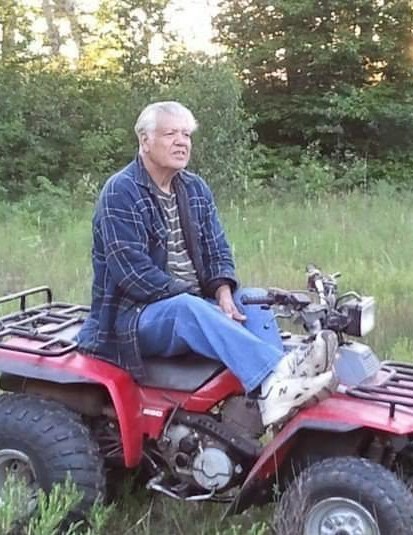 He enjoyed the outdoors, especially hunting and fishing. On July 14, 1961, in Twin Lakes, MI, he married Sandra J. Choate who survives. Also surviving are 4 children, Julia (Joe) LaBarbara of Mancelona, Marian (Erick) Hempel of Vassar, MI, James (Cindy) Johnson Jr. of Grand Blanc, Anna (Mark) Kincaid of Mancelona, a sister Clara (Paul) Glore of Muskegon, many grandchildren, great-grandchildren, nieces and nephews. Memorial services will take place at 12:00 p.m. on Saturday, March 2nd at Harbor Light Christian Center, 4050 Barnes Rd. Traverse City, MI 49684. Memorial contributions may be made to Munson Hospice. The family would like to thank all the Munson Hospice nurses for all the love and care they showed Jim over the last months of his life.